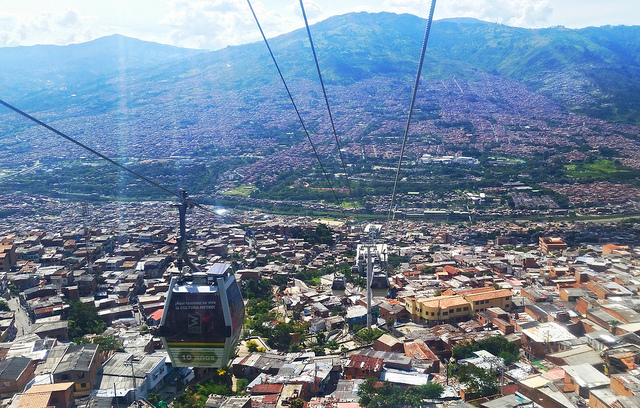 Medellin’s Metro Cable, a gondola lift system which carries 30,000 people per day, is easily the best (and most fun!) way to get to nearby Parque Arvi. The slow climb up the steep hillsides provide enough thrill to ensure you’re completely entertained, even before you get to the park. And while there are plenty of things to do once you’re there, it’s really all about the journey up (and down!). Sit facing the city for some amazing photos of Medellin!